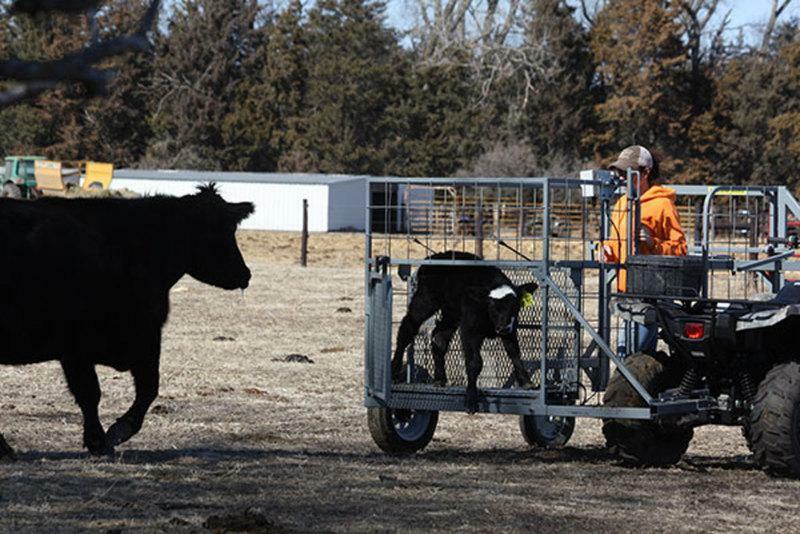 Making Every Calving Season, a Better One! 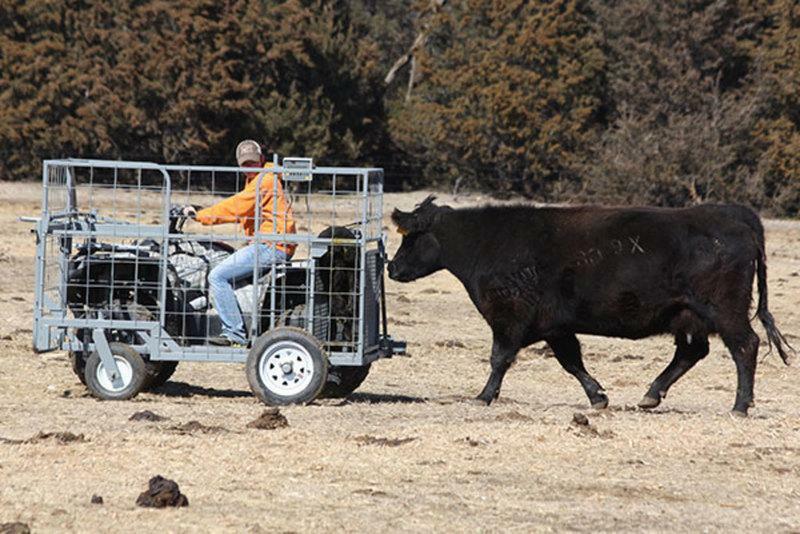 The cage safely guards the cattlemen from the often protective mother cow when handling the calf. The cow can smell and see the calf through the cage, and the cowman remains safe at all times. 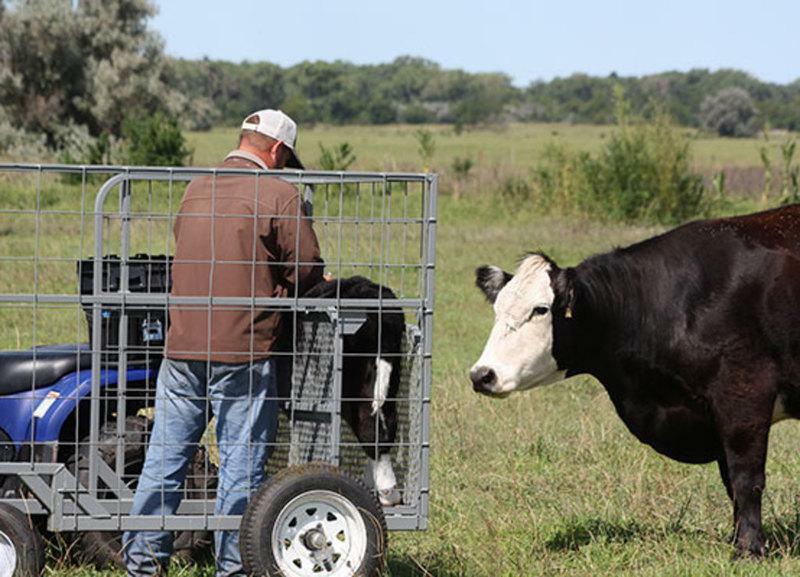 The calf catcher is made of very high quality, all welded construction. It has been tested and proven over multiple terrains and weather-related challenges such as hills, rocks, holes, mud and snow. 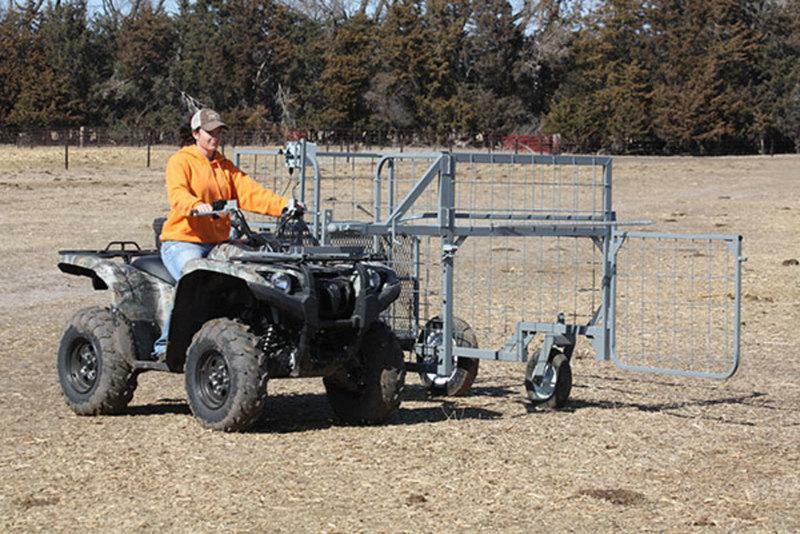 This catcher can be mounted to any ATV (400 cc or larger recommended) or UTV (Side x Side). It is durably built with a walk through opening to cage. Calf holder/carrier is standard and a popular feature that enables easier calf handling and transportation.